In the drama this intersection is seen when characters go to Sodegahama. 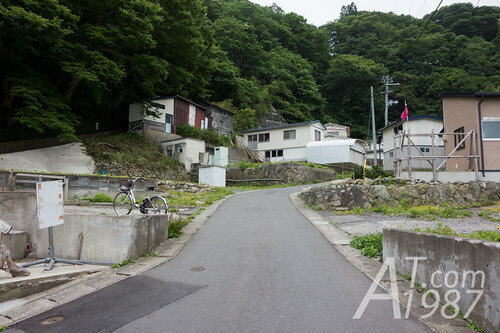 Amachan fans may recall it although the drama props were removed. 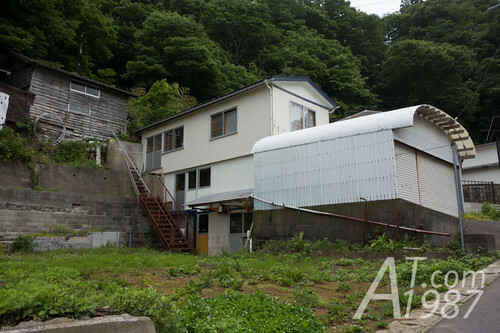 The building nearby is used for exterior of Sodegahama Fishing Cooperation. 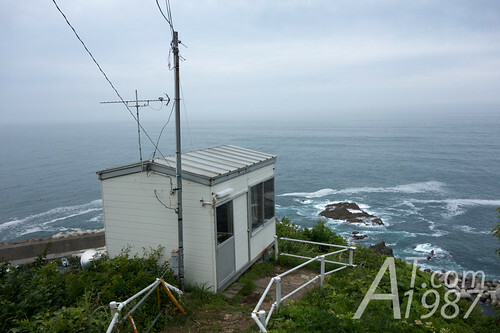 Another filming location I hadn’t visited is the monitoring hut on the cliff. 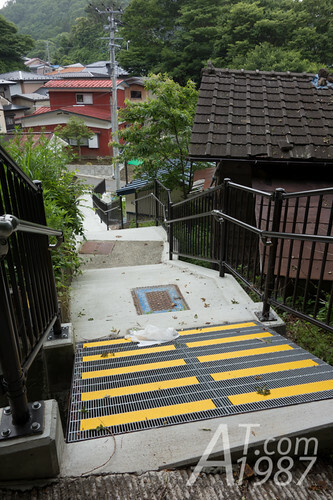 It can be reached by the walkway near the intersection. 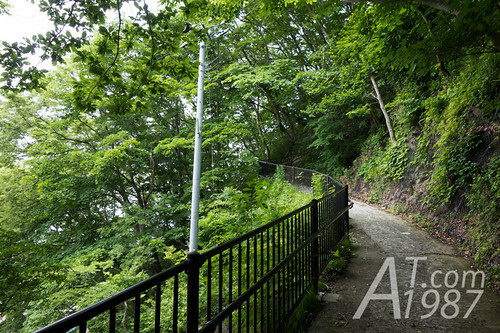 The sign at the beginning of the walkway tells that the walkway is 250 meters long and uses about 10 minutes to reach the top. 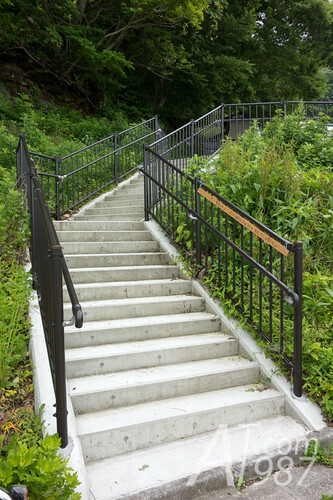 I don’t recommend this to people who have weak legs since the way is very steep. You can go to the hut by using the main road. 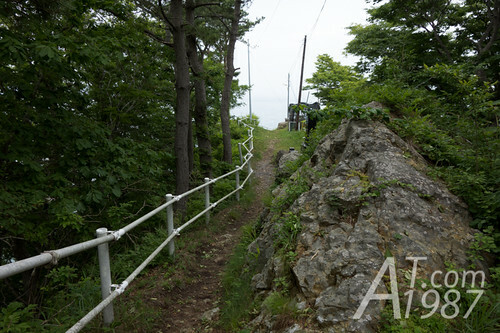 It took me about 7 – 8 minutes to reach the top of the cliff. There are 2 ways that you can continue. The left way (Walk straight in above photo.) 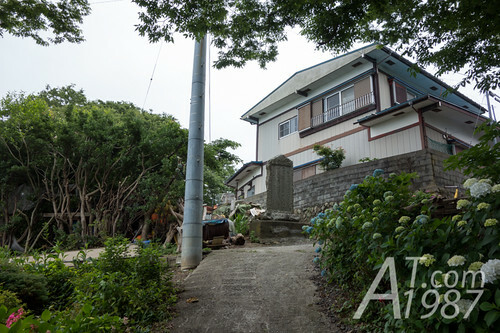 will bring you to residential area where you will see 1933 Tsunami Memorial Monument. The left way will lead you to the monitoring hut. Please be careful tomb stones while you walk on this way. 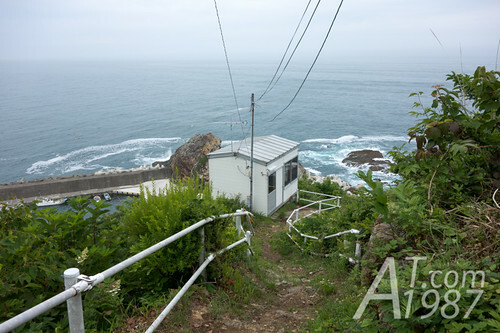 You will see the monitoring hut and the vast Pacific Ocean at the end of the way. In my opinion the hut itself is normal but the scenery here is the best. Be careful when you go down to see the hut. 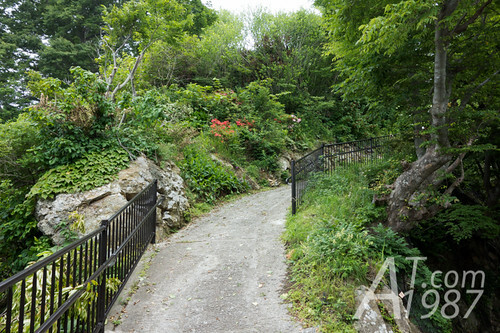 The slope is very steep so you may need to climb up when you go back. It’s faster when I went down to the ground. It’s so fast so I had to hold the rail. For those who don’t like steep slope. 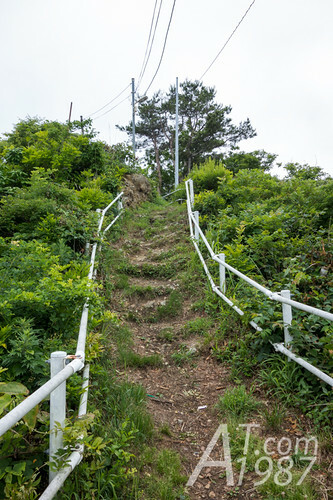 There is a stair on the midway of slope. Another view of intersection. Drama fan may recall this view better than the earlier. 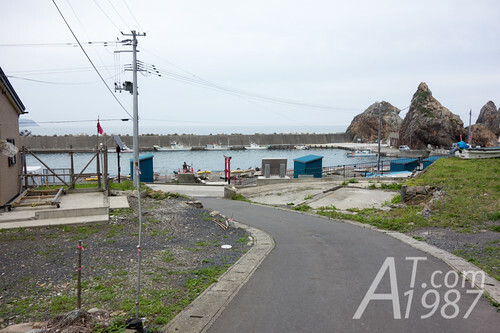 After I left Kosode Fishing Port. 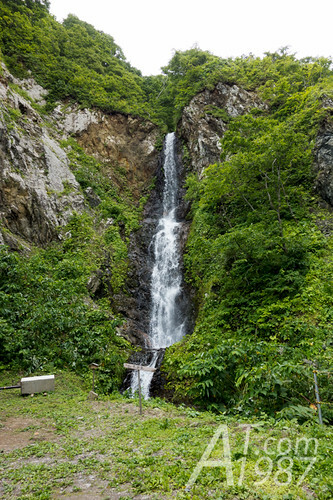 I stopped to see the small waterfall named Gojou no Taki which is on the coastal road. Then I continued riding to the station. Next time I will write about riding to Kuji Amber Museum. Please look forward to it.